America’s #1 Sailing School® — Celebrating 55 Years! Offshore Sailing School has received many recognitions and awards for creating the best sailing instruction programs and graduating more than 150,000 from its US sailing courses. 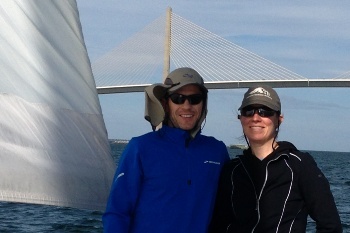 It is acknowledged in the sailing industry as “America’s #1 Sailing School” offering a full roster of US Sailing Courses. 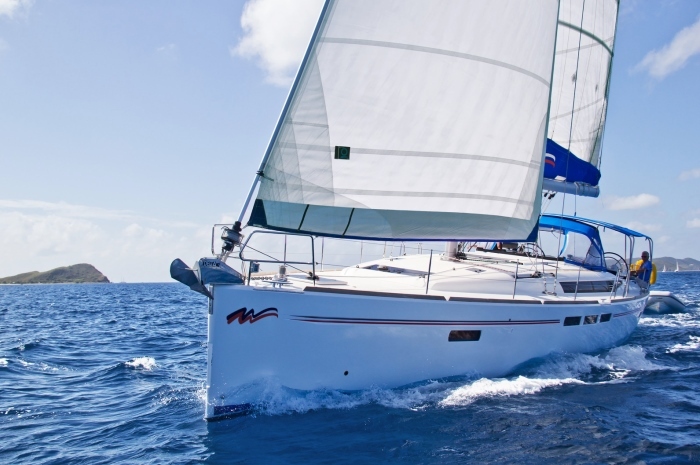 When you learn how to sail, cruise or race at Offshore Sailing School, you learn on sailboats and powerboats carefully chosen and designed for teaching. Our most popular sailing courses are combo Fast Track to Cruising courses that combine OSS 101, OSS 103 and OSS 104 in one eight day period, with OSS 114 added when learning on a catamaran; and OSS 105/106 for Fast Track to Coastal Passage Making; and OSS 107/108 for Fast Track to Offshore Passage Making. A quick description of all the courses listed below is on our Sail and Power Course page. training by Steve Colgate and marine architect Jim Taylor. Fast, ergonomically comfortable and very safe, this is the boat chosen by the US Naval Academy to train its plebes. 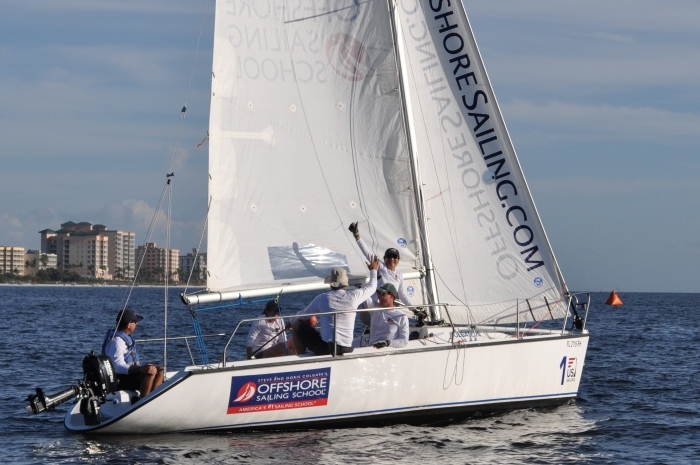 The Colgate 26 is also the boat used in Offshore Sailing School Performance Sailing and Sailboat Racing courses. 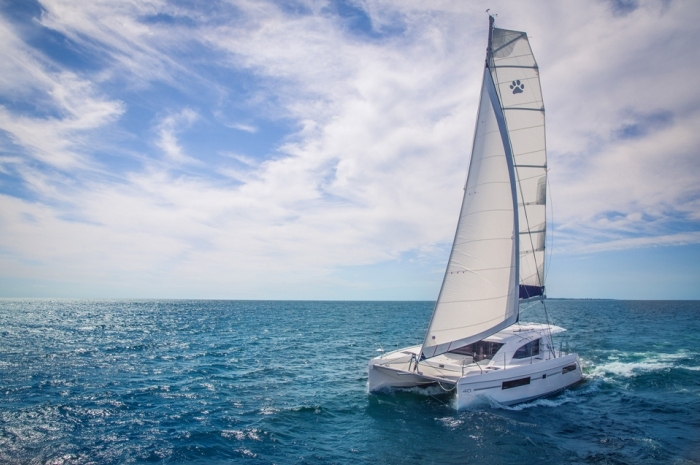 For Cruising Courses you learn on fast and fun 43′ Jeanneau monohulls, a Catalina Morgan 440, and 40′ to 48′ Leopard catamarans in Florida. In the British Virgin Islands.you learn on 44′ to 48′ catamarans provided by Sunsail and The Moorings, Moorings 514 cruising yachts and Moorings 37′ to 48′ powercats. Your instructors are caring sailors with extensive sailing and teaching experience who give you the skills, knowledge and confidence to thoroughly enjoy the sailing lifestyle – all under the guidance of our founder, Steve Colgate, who was inducted into the National Sailing Hall of Fame in 2015. After you complete a course at the Colgate Offshore Sailing School, if the sailing instruction you received was not up to your expectations, let us know right away and we will arrange to give you the same course over again, tuition free.